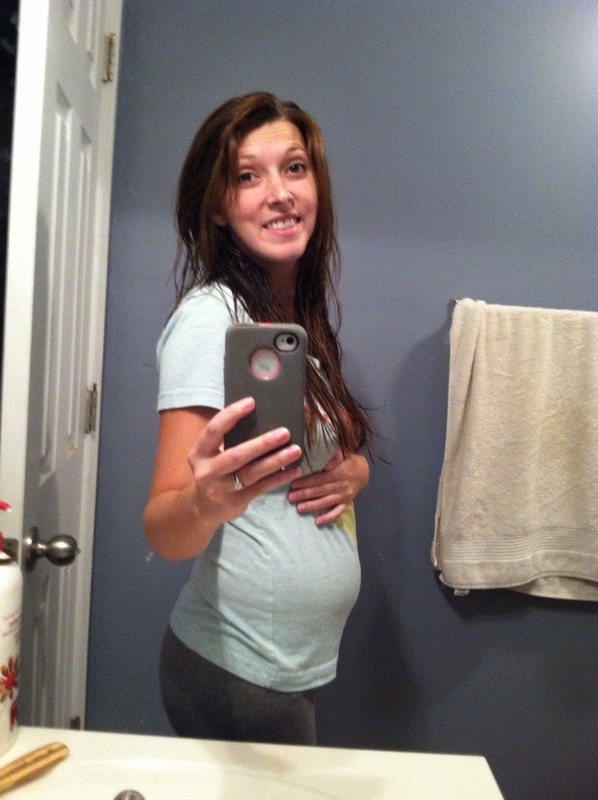 So I totally stole ” Bumpdate” from a few other ladies’ blogs, hope y’all don’t mind. It’s so darn cute! Babies are almost green olives and tomorrow they will be considered fetuses! Best Moment This Week? 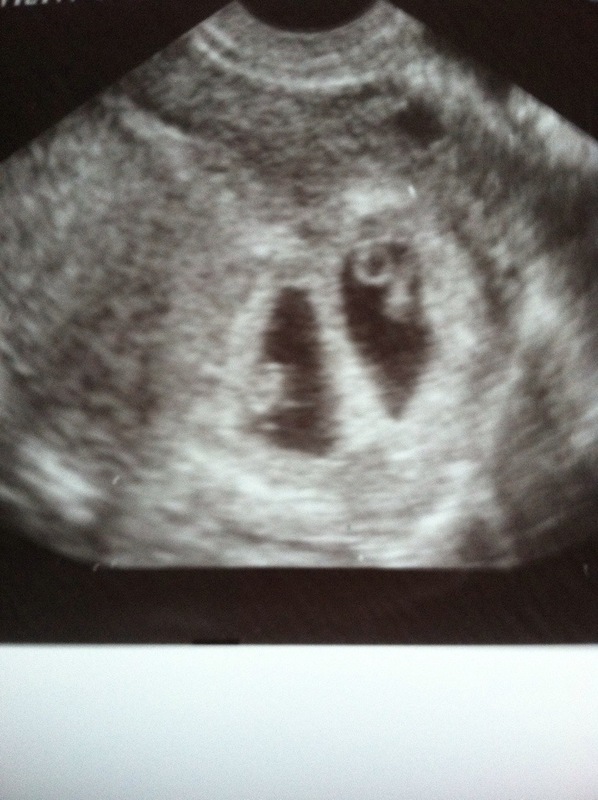 Getting to tell anyone and everyone with ears that we are having twins! Baby Bump:. I think this is real bump and not bloat but who knows. Milestones. Making it to 9 weeks tomorrow and looking forward to our appointment on Wednesday. Hopefully we will get to hear the heart beats! 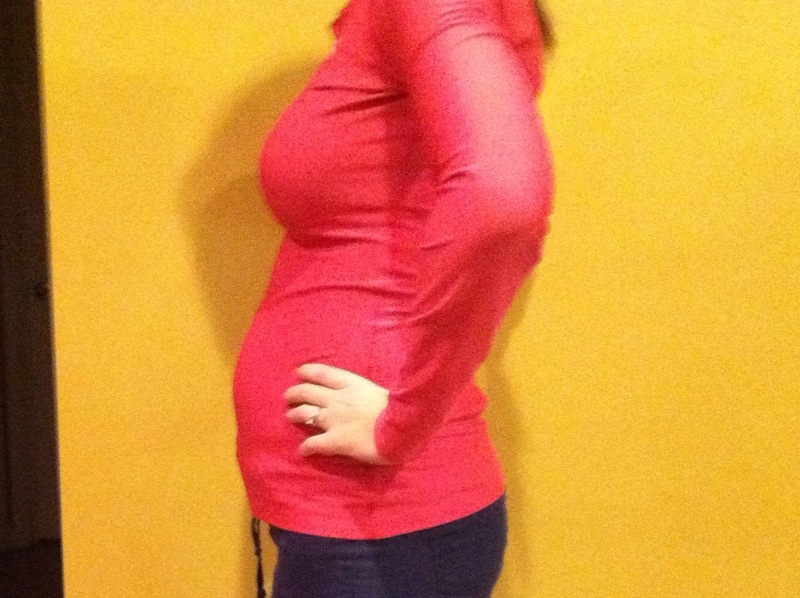 So, here it is… My bump. I did just eat dinner so maybe it’s bigger due to that. This is still so unreal. This is a straight up miracle. Thank you all for you prayers and your good vibes! Their heart rates are in the 140s. Perfect. We are still in absolute shock. I know it’s early, waaaayy early however, early doesn’t make my pants fit so I bought some belly bands. I went to this site and I put two of the belly bands in my cart then applied this coupon code: THEFRUGALGIRLS2014 and it told me I could get two more belly bands or one body band for free! Sure enough, I added a body band and all it charges you for is shipping and handling. I paid $23.89 for 2 belly bands and one body band! The site does automatically add a $2.50 size exchange fee with each item but you can remove those, I DID! :). Bananas! Then after you pay and you get your confirmation code it gives you coupon codes for their sister sites which sell baby leggings, baby slings, car seat covers, etc.. I went to one of the sites and put in the code to see if it works and all you end up paying for is shipping and handling! Eventually I think I will use these codes when I need/ want any of those things but I wanted to share with you guys. I swear I’m not making any money off of them or what have you, as in they aren’t sponsoring me or anything. I also bought some Burt’s Bees belly butter and some kind of oil so I can prevent and many stretch marks as possible. I hope you guys are having a great Friday! Yesterday my husband and I went to a family friend’s house for a surprise party for one of my brothers. He passed the Alabama State Bar so he can practice law now! Anyways, while getting ready I put on a pair of jeans and couldn’t even zip up the zipper to TRY and button them. I walked into the living room where Mr. B was watching football and asked for his help. He laughed which made me laugh but it still didn’t get my pants buttoned. He suggested I change pants, so I found another pair, I couldn’t get them buttoned either but they got closer than the first pair! I just needed someone to hold the two sides close so I could zip and button. I ventured back into the living room for help. He held the two sides together and I got them zipped and buttoned! As I was pulling my shirt down, Mr. B said, “maybe you should start wearing sweat pants from now on.” Lol. Seriously?! Though if it were socially acceptable I wouldn’t fight too hard not to! Haha!!! He is so cute. what we were seeing. 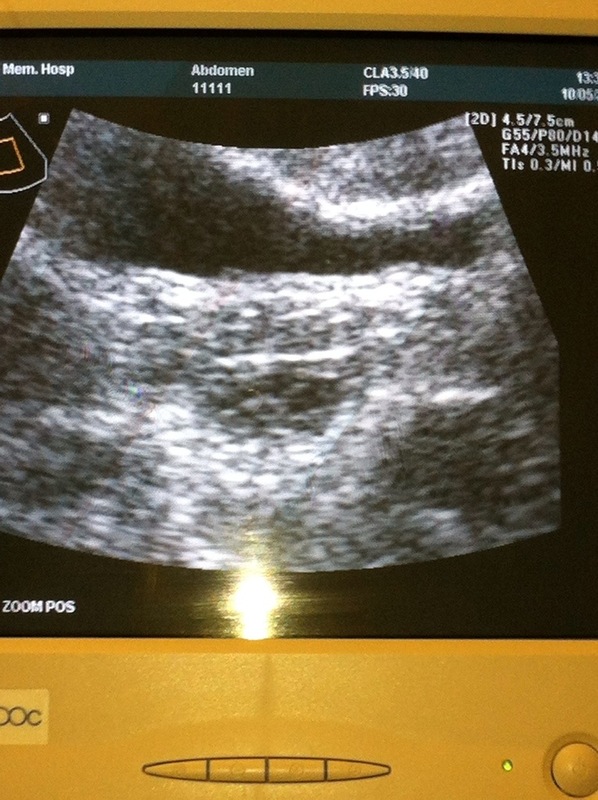 I’m not going to tell my doctor but I will show y’all! Yay!!! Look…. It’s the tiny circle inside that dark circle. It’s an awful picture because we really don’t know what we are doing. We honestly didn’t expect to find it. I am so happy! I sent it to Mr. B and he said “wow.” :):). This makes up for not being able to for into my clothes. I hope everyone is having a great weekend!